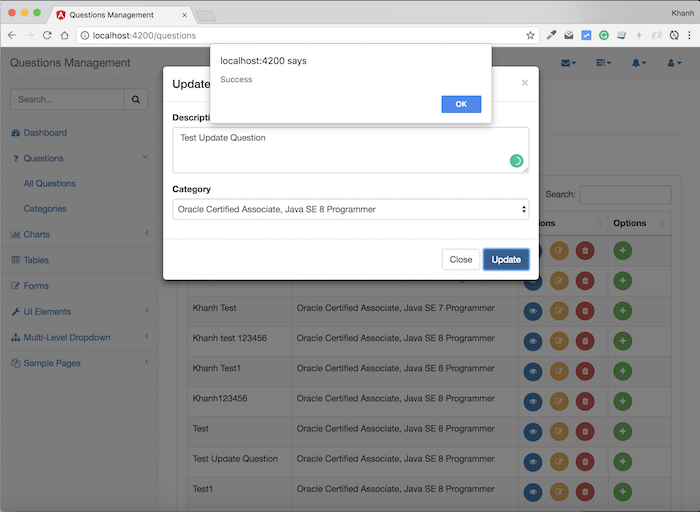 To update a question in the Frontend section of the Questions Management application, I will first need to add a new method in the QuestionsService class that will allow us to call the API update question of API Question Service to pass the information of the question which we need to update. Next we will build the form to update the question. On the All Questions page, when the user clicks on the Edit button of each line corresponding to a question in the table, I will popup a window using Bootstrap Modal that allows the user to update the information of this question. There is 2 information in this window that is the description of the question and the category that this question belongs to. and get all the categories in the system to display using the CategoriesService. To keep the category information we choose for this new question, I use the selectedCategory variable in the AllQuestionsComponent class. 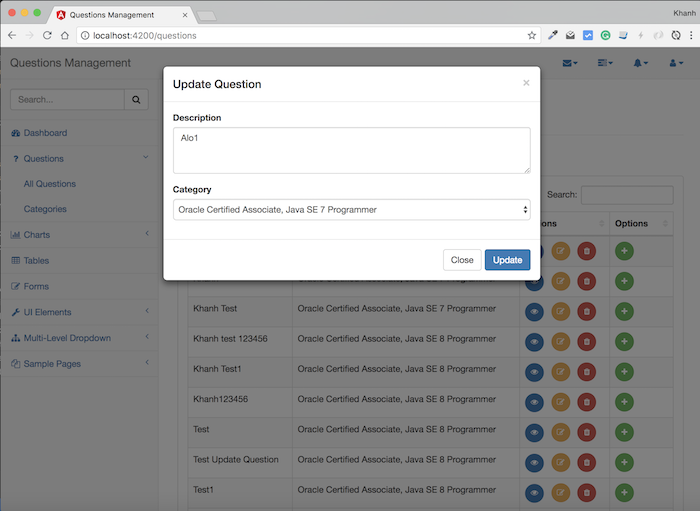 OK, so we have completed the implementation for updating question in the Frontend of the Question Management application. Let’s try it out!